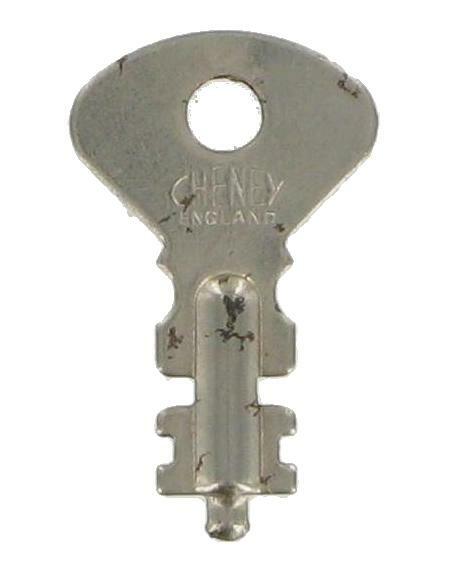 Cheney Solid Barrel Luggage Key No. 0. This is a key for a Cheney lock. Cheney locks usually have the number on the barrel and it is duplicated on the keys itself so hopefully you will have no trouble identifying the key you require. We have only key number 0 in stock but if you don't want key number 0, give us a call (01494 775577) and we will try to help. These keys are sold individually so if you require a pair please select two in the quantity.